kt literary » Blog Archive » Happy Book Birthday USA Today bestseller Ashlyn Macnamara! Happy Book Birthday USA Today bestseller Ashlyn Macnamara! 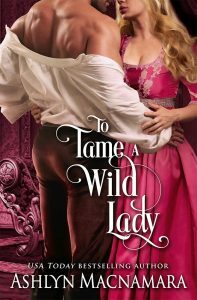 Happy Book Birthday to TO TAME A WILD LADY by USA Today bestselling author Ashlyn Macnamara! Congratulations Ashlyn and happy reading everyone!